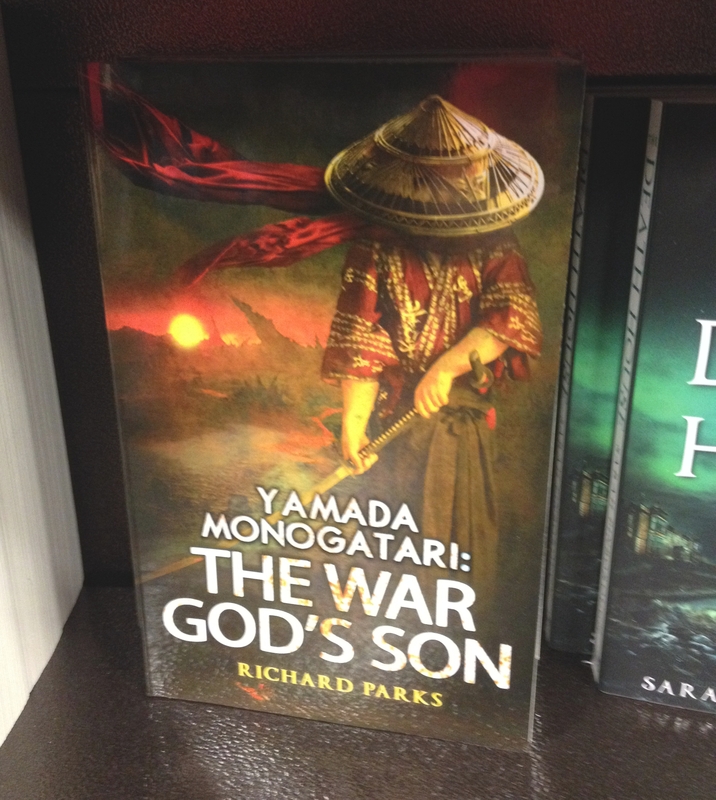 Spotted for the first time this Saturday in the wild (meaning the new books section of our local Barnes & Noble) Yamada Monogatari: The War God’s Son. I’m not sure if seeing a book you’ve written appear on the shelves of an actual bookstore will ever get old. Libraries and Bookstores were my temples, my sacred places all through childhood and youth. To have my own place there, right between Peter Orullian and Sarah Pinborough, makes me feel like maybe, you know, I belong there. Or rather my work does. It’s the work that counts. Besides, I’d feel awfully cramped on that shelf. This entry was posted in Folklore, legends, novel, Writing and tagged Barnes and Noble, Peter Orullian, Sarah Pinborough, Yamada Monogatari: The War God's Son by ogresan. Bookmark the permalink.